The Montana Walleye Gov Fishing Tournament on Fort Peck Reservoir took place last Friday and Saturday. 141 two person teams competed in this year’s tournament. First place went to Jesse and Monica Reuter Sidney, Montana with 44.05 pounds. Also, as of the week of the 17th of July in 2014, the whitefish bite had not happened–and this year, we know of anglers that have found success. Click here to see video. 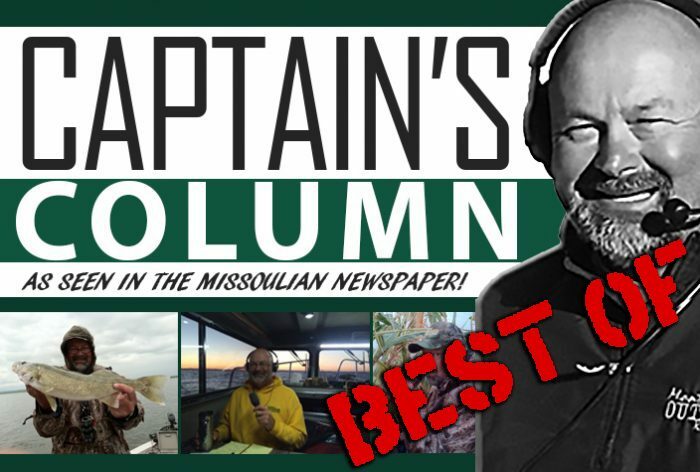 Take a look at the full Captain’s Column article from July of 2014 by clicking HERE. So, there you have it. Another BEST OF the Captain’s Column! Enjoy!